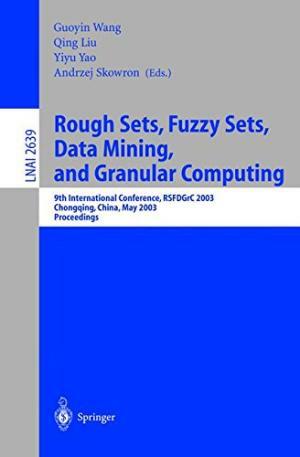 245 0 0 %a Rough sets, fuzzy sets, data mining and granular computing : %b 9th international conference : proceedings / %c [ed.] Guoyin Wang [et al.]. 260 %a Berlin ; %a Heidelberg : %b Springer, %c 2003. 300 %a XVII, 741 s. : %b il. ; %c 24 cm. 711 2 # %a International conference "Rough sets, fuzzy sets, data mining, and granular computing" %n (9 ; %d 2003 ; %c Chongqing, Chiny).